On Nannuka, you will discover thousands of job posts to help you find the job that suits you most. Our team has created useful online tools to boost your profile and help you find your ideal job in one click. Create a competitive profile, present yourself, talk about your education and background and win parents’ trust and heart. Ready? Sign up, for free! Create your own professional profile in less than 2’. Stand out with your competitive profile. Your contact details will not be published without your consent. Is there a job post of your interest? 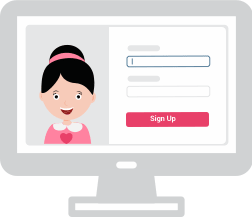 It is time to meet you in person and verify your profile..Getting a verified profile, gives you limitless access to all job posts. After all, safety is our priority. 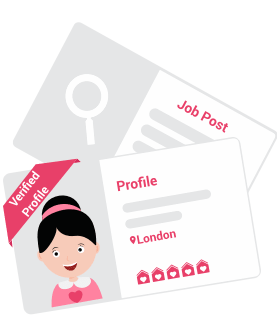 Having a verified profile, helps you win parents’ trust and get more job requests. Meanwhile, you can contact parents directly and get your dream job. You only need to upgrade to Premium. Our team is next to you, without any additional financial commitment. Win parents’ trust by getting the ‘verified profile’ badge and increasing the percentage of your profile validation. First impressions counts! Select a clear, professional picture to present yourself and win parent’s heart. It is not just an online service. Our team is next to you throughout your search to help you find a job. 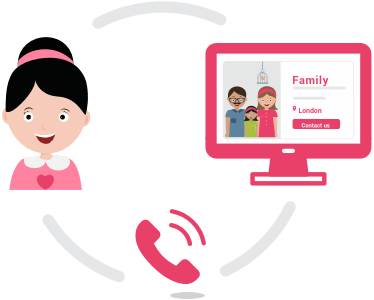 Hundreds of childcarers meet in person and review families so you feel safe. On Nannuka, you will find job posts from families near you. I need someone to watch my son who is two, will all nanny-related responsibilities with regards to cooking and cleaning the nursery and doing the baby’s laundry, pick-up from nursery twice a week and general organising the day around the baby. He sleeps 2.5 hrs every afternoon so this is a good break for any nanny, and will be at nursery in the mornings twice a week. 8-4pm Mondays and Fridays, 8-6pm Tue/Wed/Thurs. 4 weeks paid holiday per year plus other benefits depending on experience and qualifications. I need someone reliable, active (lots of walks in the parks nearby! ), happy overall and professional towards their employer. Start date: asap early Sep 2018. Must have references. Are you interested in this job post? Sign up today for free! If you are having ​any difficulty using​ this website, please contact with us at hello@nannuka.com.